What are skid steer loaders? 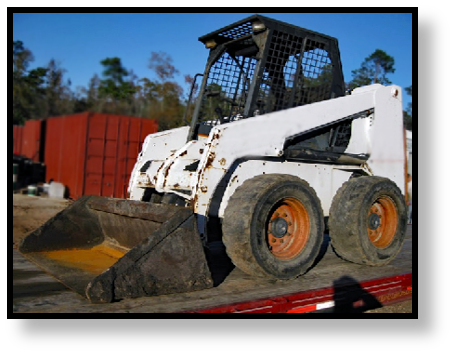 A skid steer loader, or SSL, is a compact wheeled loader. The first skid steer was designed for a successful turkey farmer who needed a small, lightweight, agile machine for cleaning out his multi-story barns. It gets the name “skid” from the ability of the left wheels to turn independently of the right wheels, allowing it to practically turn in place (skid). It is lightweight enough to be pulled on a trailer behind a pickup truck, but powerful enough to be used for intensive material handling applications. What are skid steer loaders for? Skid steer loaders are still designed for jobs that require both power and excellent maneuverability in tight spaces. By using different attachments, SSLs can be used for all kinds of applications. Skid steer loaders work best on jobs that require pushing or lifting as opposed to pulling or digging. They are regularly used in construction, landscaping, agriculture, demolition, forestry, and more. What are some other names for skid steer loaders? Skid steer loaders are sometimes referred to as SSLs, skid steers, skidsteers, or skid loaders. They should not be confused with compact track loaders (CTLs) or multi-terrain loaders (MTLs), which are designed to operate best in a different ground conditions and have tracks instead of wheels. Ironically, mini skid steer loaders are tracked machines and look more like mini CTLs. Late model skid steers have a universal coupler that allows different brands of skid steers to be used with different brands of attachments. 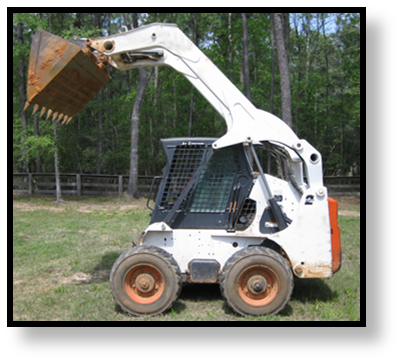 It is sometimes referred to as a universal skid steer quick attach, and you can thank Bobcat for developing the first ones. However, that does not mean a skid steer has the hydraulic capacity necessary to run every attachment. 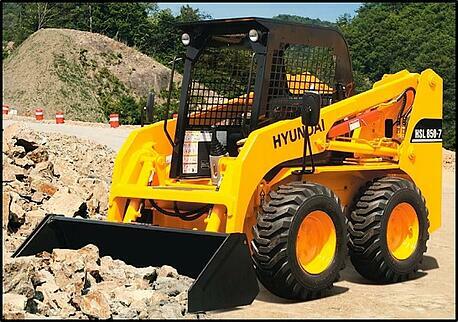 You would also need to make sure that the hydraulic flow matches the requirements of the attachment before you can determine if it will work with your skid steer. According to CompactEquipment.com, as of January 2016, the largest skid steers on the market would be the Gehl V400 and the Mustang 4000V, weighing in at around 11,000 pounds. Obviously, this isn’t going to be as agile and maneuverable as the standard skid steer, which weighs in at an average of 7,5000 pounds. The weight of any particular skid steer depends on the manufacturer, make, and model. Skid steer loaders remain a strong competitor in the compact machinery market. Their agility, excellent power in a compact package, and the wide variety of attachments available for them make them practically the Swiss army knife of construction equipment. Remember -- if you have any questions about the travel motors on your skid steer, give us a call. We’d be happy to help!